There’s nothing I cherish more than some time in the great outdoors. I love the sunshine (or moonbeams), fresh air and song of Mother Nature’s symphony, whether it’s an orchestra of crickets, gaggle of birds or the breeze rustling through palm fronds. 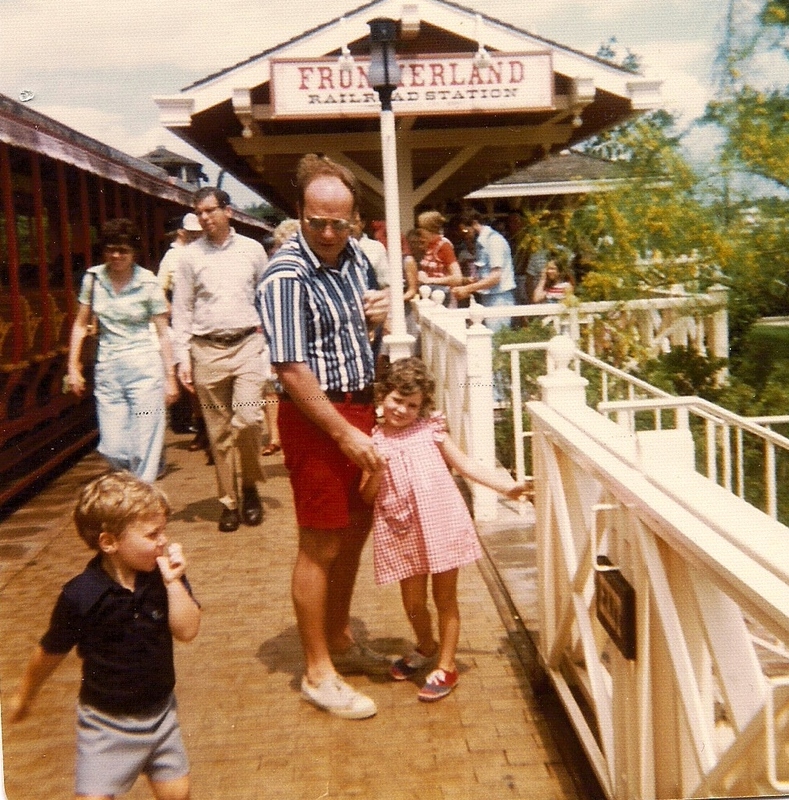 Regular readers know my fondness of the outdoors began when I was a kid and spent countless hours playing in the family fields and woods. I’d explore the creek for hidden treasure, which was usually non-decomposable wares from the 1940s and 1950s such as bottles and broken dishes but occasionally found a flint arrowhead. As I grew older, I answered the proverbial call of the wild and head west to Yellowstone where I learned to camp and survive in the mountains for a few days at a time. 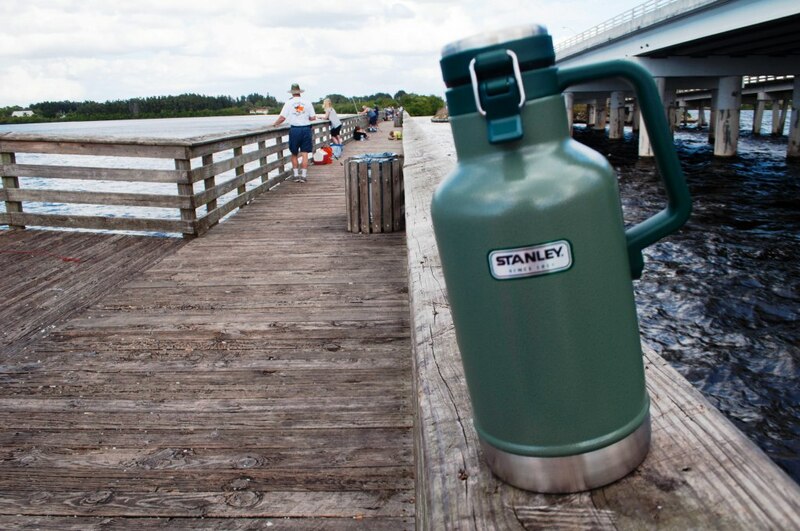 Having sturdy, reliable outdoor gear, such as a Stanley Growler, would have made those days a little more comfortable. Having a Stanley Happy Hour set on the trail would have made things more fun during those evenings around the campfire. Having access to the outdoors when I was young makes me appreciate and love it in my adult years. 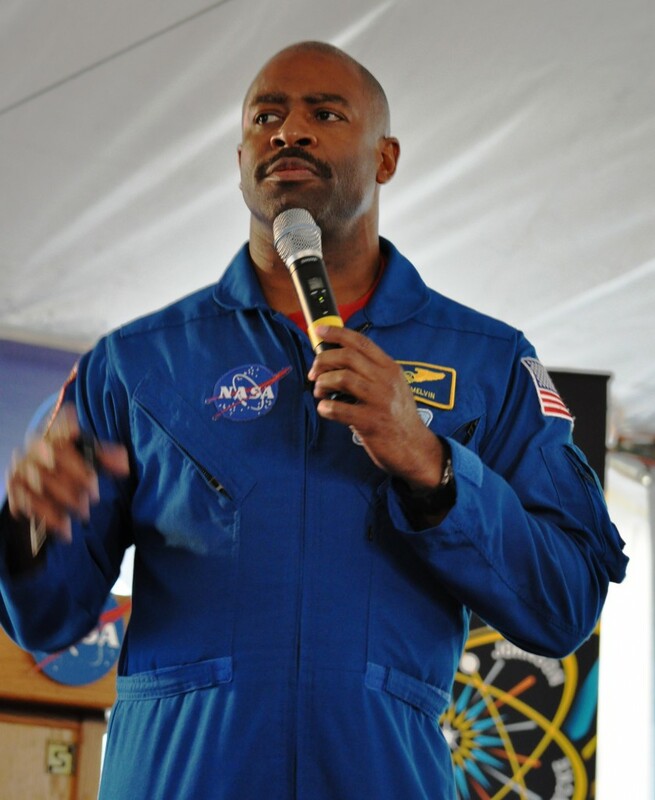 My love of nature also grounds me in my day-to-day life and helps me remember what’s important. When asked, “What do you want for Christmas?”, outdoor gear and/or experiences are always the top of my list and I think of ways how I can give the adventure of the outdoors to others. Giving gear is a great gift for the outdoor adventurer. As I’ve recently discovered, since 1913 Stanley produces a fun variety of outdoor gear. 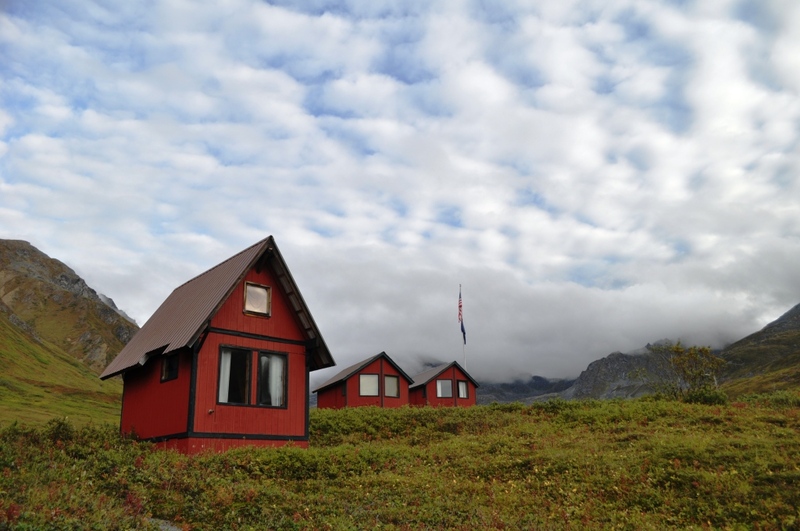 If these types of outdoor enthusiasts are on your list, give these items another look. Okay, maybe it’s me but I typically associate flasks with some kind of liquor, like bourbon or whiskey. Although I appreciate those beverages, wine tops my list of preferred drink of choice and as I recently found out during the Englewood Beach WaterFest RaceFest weekend, the Stanley Flask is handy for holding red wine (I say red because I image white would get warm). Although alcohol is allowed on most Florida beaches, glass is not which is why the flask is handy. It has a wide mouth, smooth grip and tight seal. I tossed it in my backpack where it bounced around all day without spilling a drop. It’s also 18/8 stainless steel meaning it won’t rust and is BPA-free. 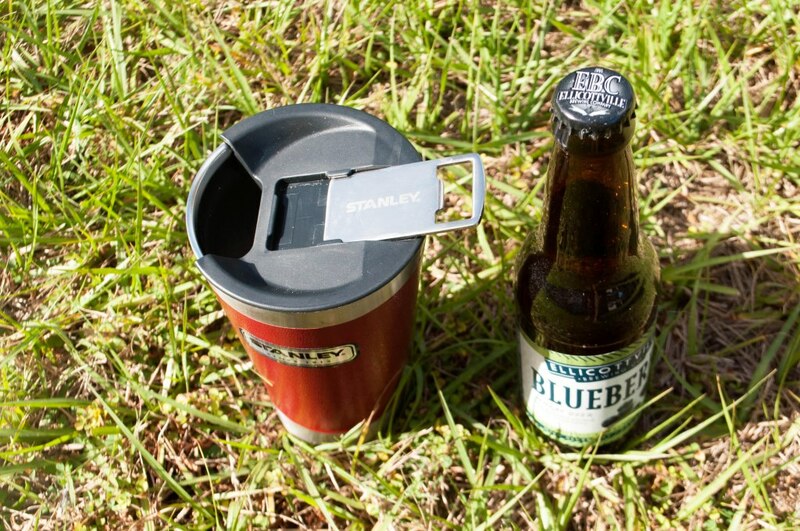 I don’t discriminate against any alcoholic beverage and beer is another favorite of mine and this Stanley Pint will be a hit with an outdoor beer enthusiast on your holiday gift list. I put this to the test at the beach last week, too, and it kept my beer cold for 2 hours. It’s rated to 4 hours but I couldn’t wait that long and drank it up! Since it was another warm day in Southwest Florida, I’m guessing upper 70s, I have not doubt the beer would still have been at least cool at the end of 4 hours. The Stanley Pint Has a Built-In Bottle Opener! 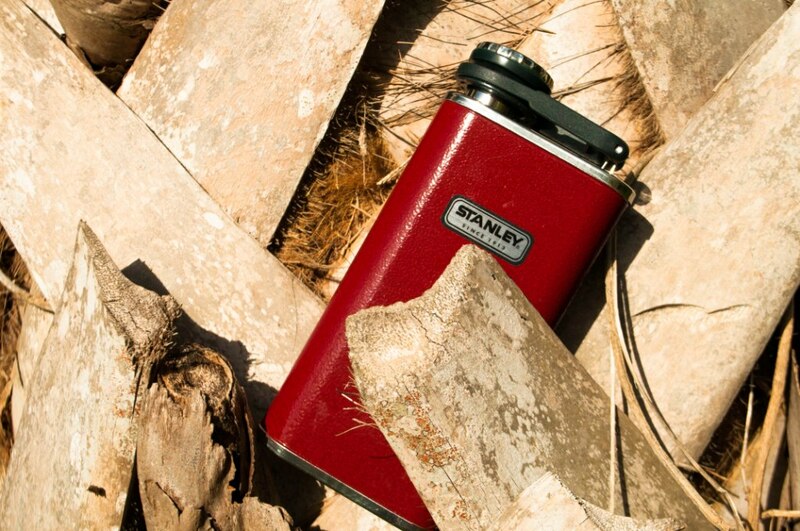 The Stanley Pint has a wide mouth, vacuum insulation, is 18/8 stainless steel so it won’t rust and is BPA-free. It’s dishwasher safe and the nifty feature is it has a built-in bottle opener! The one thing I didn’t like about the lid is it doesn’t keep the entire mouth of the pint closed. 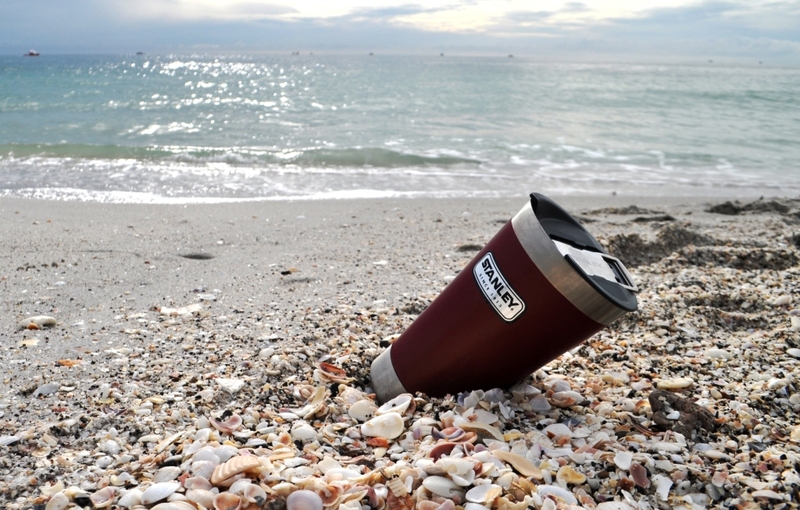 It’s not something you can carry around like a drink bottle but it’s perfect for camping, tailgating or chilling at the beach or around the pool. One of the most unique dates I’ve had was sipping cocktails in a cemetery. At the time, the guy I was then seeing and I were into the book, Midnight in the Garden of Good and Evil. We met up in Savannah, Ga., for a weekend to see some of the sights mentioned in the book and movie, and sipped mixed drinks in Bonaventure Cemetery, prominently featured in the story. 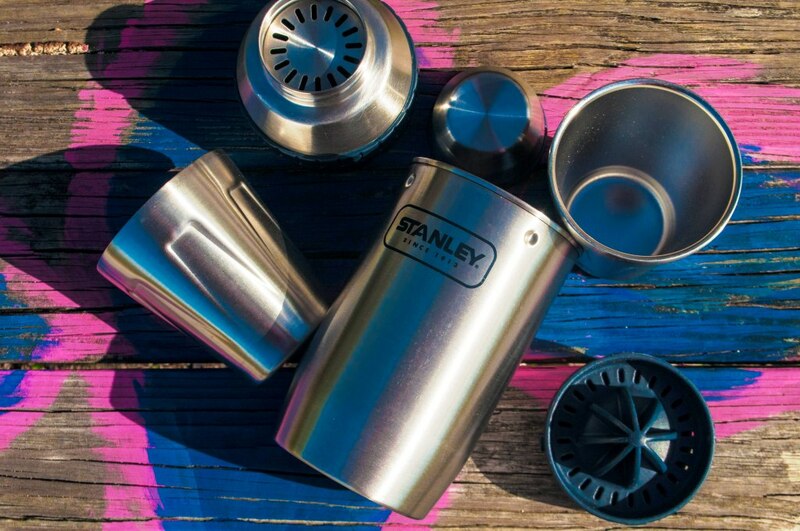 Having the Stanley Happy Hour set, a five-piece nesting system that keeps ice for up to 4 hours, things would have been a lot easier and more enjoyable! It’s a sturdy set, nests into one container and doesn’t leak, perfect for tossing in a backpack along with those airplane-sized bottles of alcohol and enjoying an adult beverage when you’re not near a bar. Contains a jigger cap; citrus reamer; two, 7oz double-wall steel rocks glasses; and a 20oz shaker and strainer lid and is perfect for being shaken, not stirred out on the trail, at the beach or on the boat. Not only does the Stanley Growler make the perfect gift for the outdoor draft beer, but it’s ideal for anyone looking to carry their cold liquids such as beer, rum punches or sangria. The term “growler” dates back to the 1800s when pub-goers brought beer home and the escaping carbon dioxide out of their lidded pails made a growling sound. 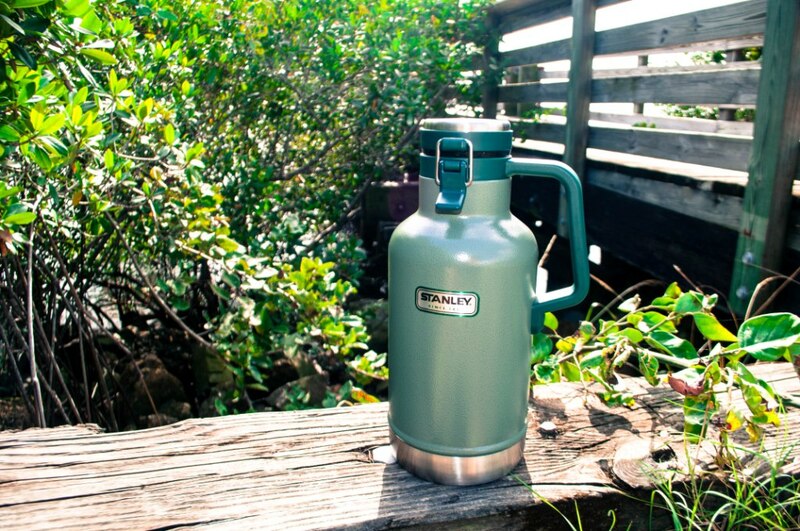 The Stanley Growler has a vacuum insulated body and foamed lid to keep beer cold for up to 24 hours, is 18/8 stainless steel so it won’t rust, is BPA-free, has a heavy duty handle making it easy to carry and steel inner lid so no plastic touches your beer! 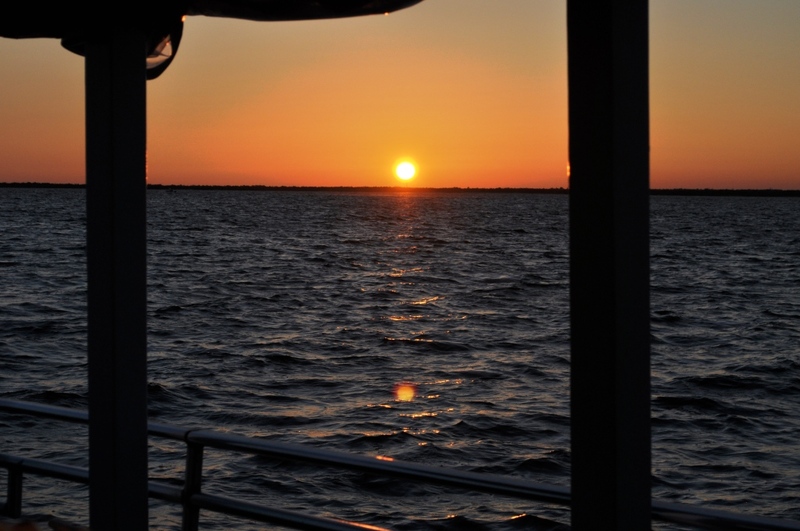 It’s ideal for being out with friends and family while fishing, sunning at the beach or camping. Learn more about and purchase these fantastic Stanley gifts for the outdoor adventurer on your holiday gift list by visiting the Stanley site. Follow the conversation by following #Stanleyness on social media. Disclosure: I received these items for review purposes. Opinions are my own and have not been reviewed by the brand. Why don’t you visit your family for Christmas?